I think I understand what Pope Francis is saying, but I think it is rather clumsily said and needed some additional explanation. It is clumsily said because even though, in strictly human terms, in terms, that is, of our limited human perspective, Christ's ministry on Earth led to what appeared to be failure. Yet the Cross was not failure at all, but the actual Redemption of mankind, the destroying of death itself, the defeat of the Devil and the opening of the gates of Heaven to all believers. In fact the hour of Christ's Death on the Cross was, in Christ's own words, the hour of his glorification and the means by which He would 'draw all men' to Himself. 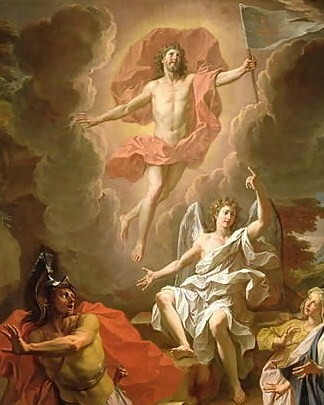 It cannot be overlooked, either, that three days after the Lord's Passion and Death, as He said he would, He rose again as our Risen and glorified Saviour. It is a little embarrassing that the Pope neglected to embellish on his words a little more in order to avoid misunderstanding, for it goes without saying that if - and I cannot believe he means it - that Jesus's Death on the Cross was an actual 'failure', rather than the appearance of it to human eyes - then mankind awaits another messiah, whose mission would be deemed, humanly speaking, to be a 'success'. It is out of Christ's pierced side that flowed Blood and Water unto our redemption. From the pierced side of our Crucified Saviour comes His Bride, the Church, washed clean in His Blood. Anyone who receives the Body and Blood of Our Lord knows, surely, that it was by means of His Passion and Death, that man may know his Redeemer and love Him in return for such extraordinary and triumphant love. God bless our Pope. He is wonderful at communicating Christ's love through his interaction with people on a human level, face to face, but is sometimes a little muddled, on the big stage, at communicating the Catholic Faith, what we hold, preach cherish and believe. MAKE NO MISTAKE FRANICS KNOW WHAT HE IS DOING WHY DO PEOPLE MAKE EXCUSES FOR HIM HE IS OUR POPE FOR GOD SAKE HE SHOULD KNOW BETTER. I BELIEVE HE IS THE FALSE PROPHET AND IF YOU BELIEVE THAT EVERYTHING HE SAYS MAKES SENSE. JESUS HAVE MERCY ON US IN THESE DARK DAYS. Yep. We are sooooo Catholic, we need to tell THE POPE how to be Catholic. Lord have mercy. Of all the things he has said, this one is hardly worth fretting over. Maybe he could have expounded a bit, but even from what he did say, I think it is pretty obvious he meant Jesus' crucifixion looked like a failure from a purely human perspective, and the follow-up regarding God bringing forth fruit makes it pretty clear Francis does not see it as a failure. Heck, even the Apostles saw it, if not as failure, at least as a big disappointment and confusing until the resurrection. PS - your capthca verification was a bit ambiguous - it asked for all skateboards, but one of the images was only of the board, without the skates, thus not completely a "skateboard." Just sayin'.